County Recurrent: L.A. City & LACo OL, Bob Chambers, R.I.P. L.A. City & LACo OL, Bob Chambers, R.I.P. This morning we said goodbye to our lifeguard buddy, Bob Chambers, at Cabrillo Beach at 9 a.m. The Master of Ceremonies for the beach venue memorial was none other than LACo Lt. Retired, Conrad Liberty, and an outstanding job he did organizing this memorial. Many thanks to Conrad for his hard work and rallying the troops. Below, Conrad addresses the crowd with his opening remarks about Bob. Below is the group photo we took under the exceptional direction of LACo Ocean Lifeguard, Ed Butts, at far right in uniform. Thanks Ed for rounding us all up to acknowledge, honor and remember our pal, Bob. Just after we took the group photo, the Baywatch rescue boat, in the photo below, made it's pass along Cabrillo Beach after the family (onboard) scattered Bob's ashes at sea. And to Bob: We miss you alot, pal, but you will always be with us in our thoughts; your big smile, your laughter, your integrity, your commitment, your dedication and your friendship. Thanks for being such a great mentor and example and for being there for so many of us. 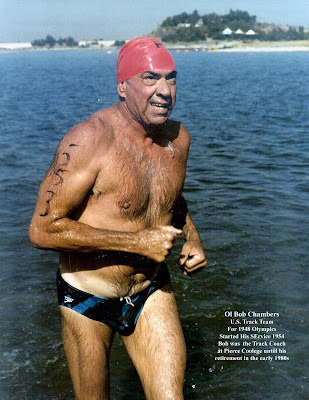 Bob Chambers, one of our longtime lifeguards has passed. His impact on lifeguarding has been felt by many new lifeguards by mentoring them during their rookie year. Bob spent most of his years at Cabrillo and Venice beaches. The memorial service will be at Cabrillo Beach, on Sunday Dec. 5th at 9:00am. 3720 Stephen M White Dr. Reception with buffet lunch will follow at 11:00am at the Elks Club in San Pedro. Just in via the Lifeguard Grapevine, we regrettably inform our readership that we have lost another of our most Energetic and Larger Than Life Recurrent Beach Lifeguards, namely, Emeritus - Retired, L.A. City and LACo Ocean Lifeguard, Bob Chambers, who passed away early this morning, Nov. 6, 2010. Bob's beach lifeguard career began in 1954 until his retirement in 1988. 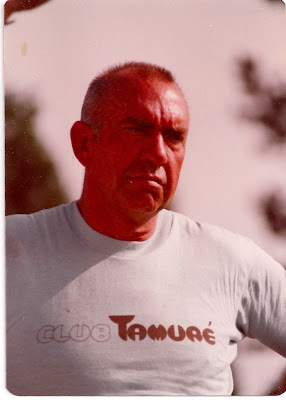 "RIP, retired LA Co Lifeguard & longtime friend to the Liberty family - Bob Chambers. You will be missed!" Karena also posted the following this evening: "He passed away at 3am this morning... Dad spoke to Mickey Gallagher today about a memorial... I think they are planning something at Cabrillo beach in a few weeks - to give the extended family enough time to get to California." Also, in a phone call with this evening with LACo OL (Ret. ), Harold Dunnigan, Bob succumbed as the result of chronic heart problems. *** More details will follow and according to Harold the Memorial has yet to be set but the plans are to have it at Cabrillo Beach. We will be sure to update the readership on the exact time and place as soon as we hear of it. In the meantime, we extend our heartfelt condolences to his wife, Gail, Bob's children and grandchildren, and to his extended lifeguard family. 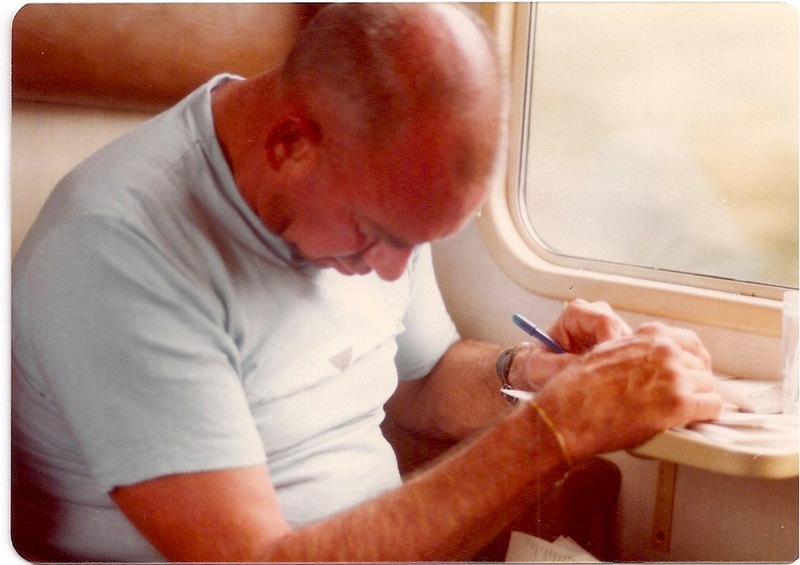 From Retired LACo Lifeguard Chief, Bob Burnside: "Will... I am saddened to hear this. Bob was a great tiger... Years working with him and racing together in all the fun stuff... he will always be part of my fondest memories. His Big Grin... I can see still. He's with some of the best now I am sure. I was also just thinking about Bob as the sun set tonight and recalled how he many many years ago, when I was finishing a dory race when my partner Larry Hanes bailed out early... leaving me alone on the stern, bouncing as hard as I could to pop the bow up from stemming or perling into the sand bow first... alas, no luck! The dory nosed in a flip with me trapped underneath the gunwale. Bob immediately sprinted down, as I was later informed, and literally flipped the dory off of me and it landed around 5 feet away from my body... He was Amazingly Strong... and Always Alert! So tonight a toast to my pal. Bob"
"BOB CHAMBERS WAS THE JESSE OWENS AND JOHN WAYNE MIX OF OUR TRIBE. OLYMPIAN (BRONZE MEDALIST IN TRACK) - COACH - TEACHER - MENTOR - "WATCH THE WATER ICON" AND A MAN WHO YOU COULD COUNT ON IN AND OUT OF THE DROP ZONE. AS A ROOKIE HE MADE ME FEEL LIKE AN EQUAL AND INSTILLED THE KNOWLEDGE TO ALWAYS MAKE SURE THERE WAS NO TRASH AROUND THE TOWER SO THE BEACH WAS CLEAN AND SO THAT THE LADIES COMING TO THE BEACH WOULD FEEL SAFE AND COMFORTABLE. YOU COULD ALWAYS COUNT ON BOB FOR HIS CHIVALRY. A TREASURE FOR ALL THAT HAD THE PRIVILEGE TO KNOW AND WORK WITH HIM! ANOTHER LIFEGUARD VIKING SITS AT THE HEAD TABLE IN VAHALLA TONIGHT. HE IS IN GOOD COMPANY! The undersigned was fortunate to get to know Bob many years ago, circa 1975, shortly after L.A. City merged with LACo, when Bob, Conrad Liberty, Harold Dunnigan and Rudy Geitl organized the "Recurrent Lifeguard Association" when it became clear that recurrent lifeguard issues were not being adequately addressed by the "powers that be". I was in attendance at the first organizational meeting at the old Venice Pavillion. It was at this meeting that I first got a very positive impression of each of the aforementioned veteran beach lifeguards. A few years later, on a day off in the summer of 1977, I took a bike ride from Will Rogers to the Venice Pier. It was at the Venice Pier that I saw Bob on duty at the Venice South Tower on the pier. I said hello and we struck up a conversation and Bob, as it turned out, was an avid cyclist. 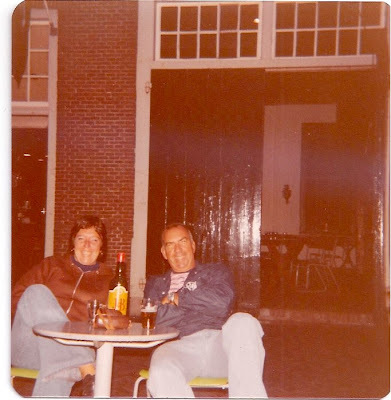 He was checking out my Schwinn Continental 10 Speed and mentioned that the following summer that he and his wife, Gail, were leading a month long bicycle trip tour of Europe and he invited me to join. I said I would think about it. I had alot on my mind as I was just about to start my first year of Law School the third week of August 1977. It turns out that this Europe Trip helped to get me through that challenging and all consuming first year. 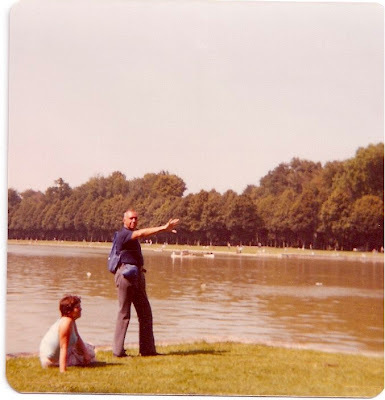 The summer of 1978 finally arrived and off we flew on Freddy Lakers Airway to England, a ferry to Holland, a train to Austria, and then Germany and France. Our last two days were in Paris where most of the group chose to visit the museums of Paris, while Bob, Gail and I went to the Palace of Versailles. Bob was out tour guide that day. In each of the countries we visited we rode distances of as few as 14 miles to as many as 100 miles a day. Bob was a true character and an amazing athlete. He was by far the strongest rider of our group. Full of energy, enthusiasm, and an enormous zest for life, I am forever grateful to have known him and to have been blessed with his friendship. I was assigned to work with Bob Chambers as a "rookie" back in 1968. As I walked up to the tower at Ave 33, just south of Washington Pier I first layed eyes on a bronzed lifeguard, big chested, burley guy smoking a big ol cigar, sitting on his chair with feet up on the rail...my thoughts were, is this guy really a lifeguard? Within the hour I was shown the answer, this guy could sprint like no guy I ever seen on a rescue! I tried to stay up with him as we sprinted out to recover and very large woman and her two kids out of the shorebreak right next to the pier...The beach was very steep and the waves swept them back and forth unmercifully. Chambers yelled for me to grab the two kids while he hauled the woman. 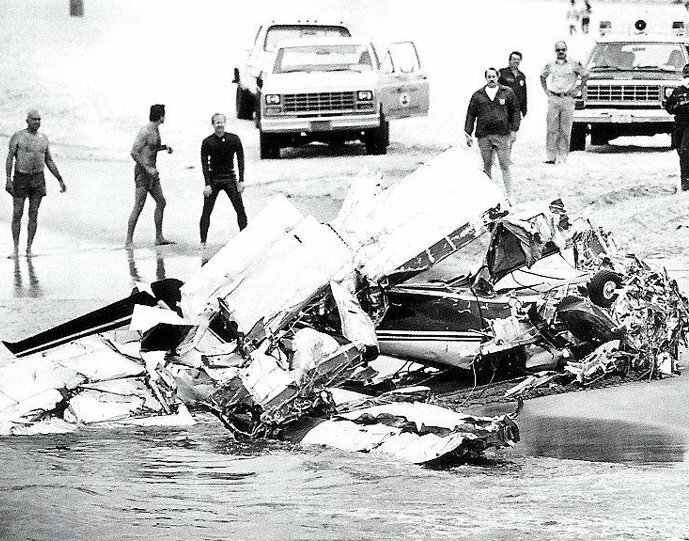 The kids were pretty easy, got them back up on the beach and came back to help Bob haul this woman who must have weighed 300 lbs...especially with all the sand in her giant "one piece suit". Several waves later and a good slogging and some dragging we got her back to the shore....I remember that as my first rescue, asking Bob if was always this hard....He just laughed. "County Recurrent" is er, well... Snowed in ! El Segundo, Calif: Mission Accomplished! December 2010 Minus Tide Alert!